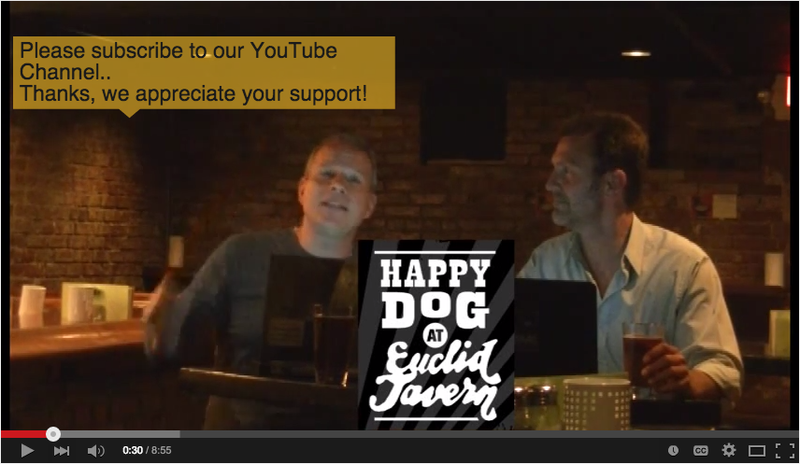 This week’s Happy Hour Recap was filmed at The Happy Dog in The Euclid Tavern in Uptown Cleveland. 1. 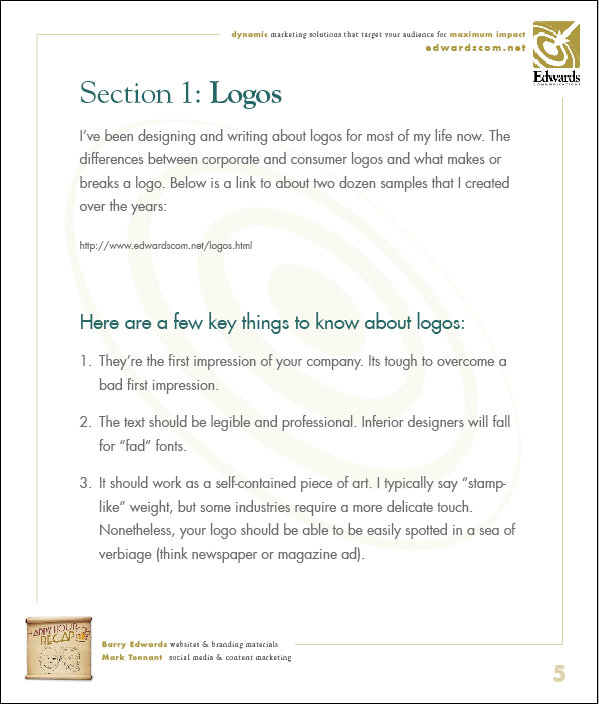 Define your subject matter – which will become your title, and we promised to show a couple terrific and fun tips on how to do this effectively! 2. Next we showed how to define the chapters of the book. 3. And lastly, we showed how to use the same methodology to define the chapter sections. If you missed this, you MUST check out HH Recap 28 How to Write a book, blogs, eNewsletter, Keynote…all at the same time Part 1. Now, Barry’s going to lay out how to fill in each chapter from here in an engaging and professional manner. 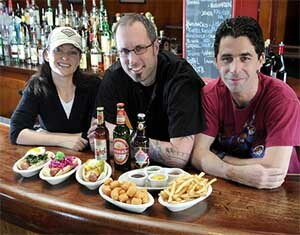 As a HH Recap subscriber, you can download this Chapter right from our eNewsletter. State the key takeaway the reader will get out of your chapter! 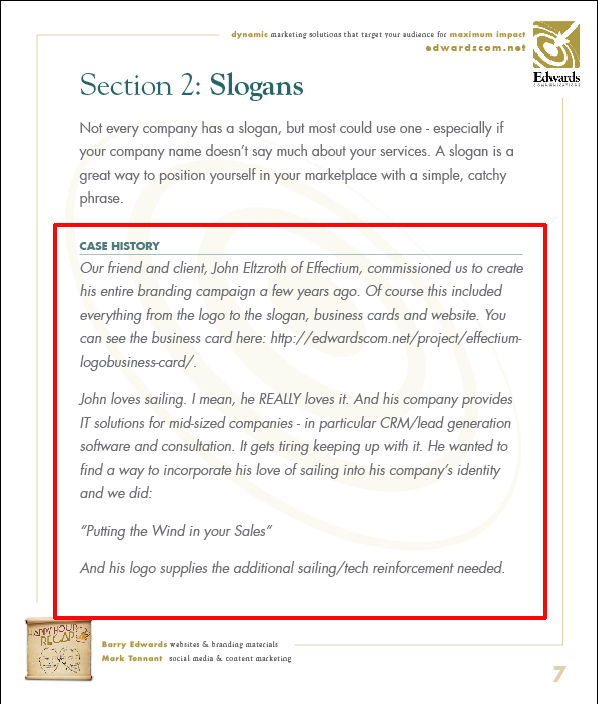 If you don’t want your book seeming too outlined, you can make this part of your Intro Summary, but for Presentations – I highly recommend leading the Key Takeaway stated clearly. This was inspired by Dan Martell in this excellent article: How to Create a Great Presentation in Just 15 Minutes. how your unique beliefs are an improvement on this. Chapter Sections: about 3-4 paragraphs or so. Start with an overview paragraph. Sidebar or quotes: Personal experience that supports your belief. Could also be a Case History. You don’t need this for every section, but at least one good one per chapter keeps the audience engaged. 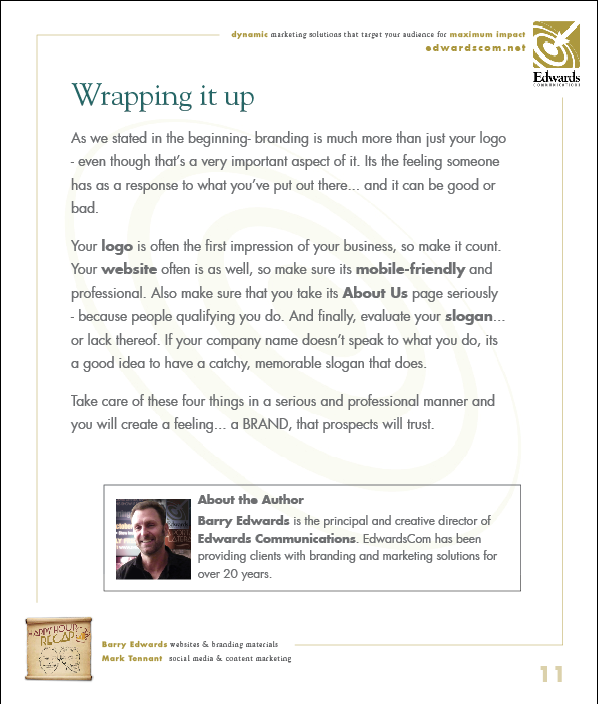 Last paragraph or section: Restate your summary and bring it all together – showing the benefits of taking your advice. Google: “magazine cover, (your subject matter)”. 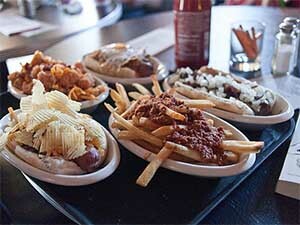 Click on “images”. The reason for this is so that we can take full advantage of all those highly paid, highly skilled writers out there that are creating those headlines that are meant to grab your attention as you glance over a sea of magazines. 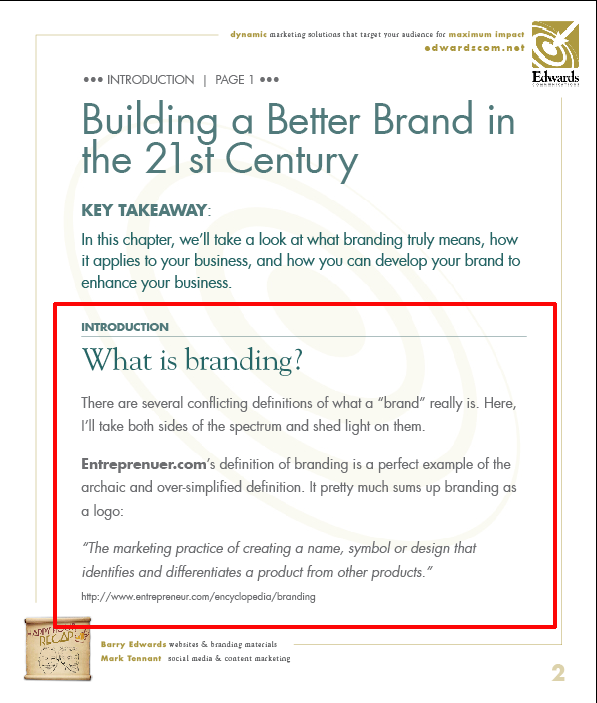 As a result of Googling: “magazine covers, what is branding” I decided to change the chapter title to Building a Better Brand in the 21st Century. PORTENT! Simply type in subject matter, and click for suggested results! Don’t like the results? Click again. www.portent.com/tools/title-maker. 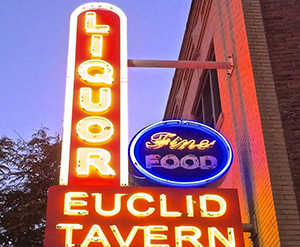 Special thanks to the Happy Dog at the Euclid Tavern for having us!